This century is marked by humankind’s increasing reliance on technology to make life easy. At the same time, most people curiously still crave to be around nature, observes Harold Clarke, whose Big Island real estate business places him right at the heart of Hawaii’s real estate developments – and in $50+million-dollar homes, too. In this conversation, Harold together with architect Branko Pahor talks about the uniqueness of Hawaii in terms of showcasing the best of the planet, while also offering a safe environment. Because while destinations with similar natural wonders – pristine beaches, lush, rolling hills, and majestic rock formations – can be found elsewhere, such as in Vietnam, Tahiti, or China, Hawaii promises personal safety to anyone who decides to pay a visit or call it their home. As Branko argues, some can experience nature, but be unsure about roughing it, or pushing it in terms of security. Meanwhile, Hawaii, which is part of the United States, facilities and infrastructure exist to ensure people’s safety. In Hawaii, the opportunities for communing with nature truly abound. Residents and vacationers alike can plan their entire days in the great outdoors, strolling by the gorgeous beaches, hiking picturesque nature trails, watching migratory birds, dolphins, whales, or sea turtles, and adoring wild plants and flowers. They can also fly over Hawaii’s storied volcanoes, go surfing, sailing, paragliding, snorkeling, jet skiing, or kayaking, or simply lie on a hammock between palm trees curled up with a book. 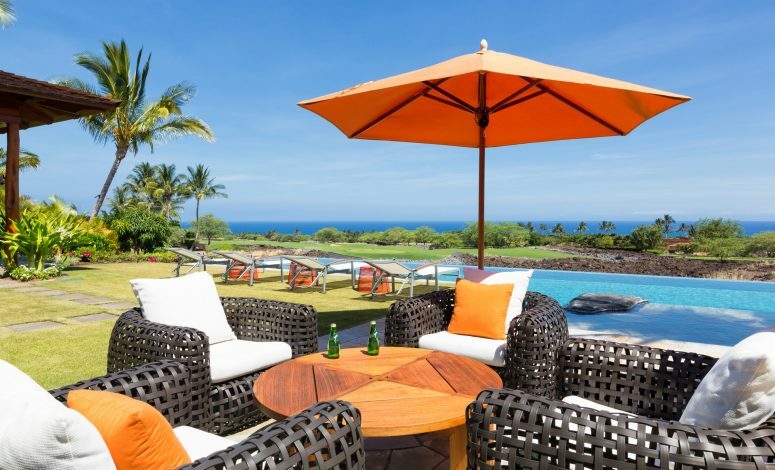 Or, they can enjoy a round of golf or two, in courses that have been masterfully designed by some of the sports’ most renowned names, such as Tom Fazio or Jack Nicklaus, around the beautiful greens and lava rocks, and the majestic view of the Pacific Ocean. Wellness centers, watersports adventure facilities, and sports clubs come fully equipped with the best features for taking in nature’s beauty, while being completely safe from harm. Even small children can enjoy the very best of the earth, and grow up around trees, around the ocean waves, around colorful marine creatures. Finally, dining in Hawaii features the freshest farm produce and seafood – treated with the highest standards in food preparation. Get in touch with Harold Clarke of Luxury Big Island today to know more about life on the Big Island, especially the breathtaking natural beauty that awaits every prospective home buyer. Harold Clarke is a top performing Hawaii real estate broker who holds the keys to the most elegant and exclusive properties on the Big Island.